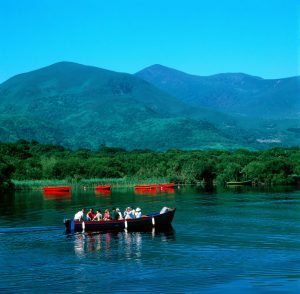 Killarney National Park is very easy to get around and there are many ways to experience it. Two shuttle buses service the National Park. 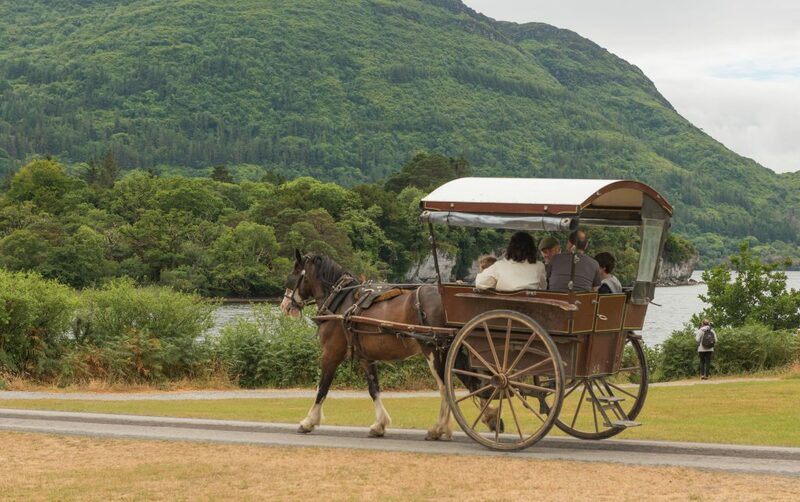 Jaunting Cars are available from the HA-HA in Killarney town centre. This is located across the road from Killarney House and Gardens. They are a traditional feature of the National Park and most routes pass through parts of the Park. Cycling is a popular way to explore the National Park and there are a number of Bike Hire operators in and around Killarney Town. The hiking in Killarney National Park is among the most scenic and beautiful in the world. 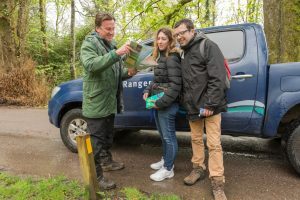 There are many trails ranging from easy walks to difficult hikes, hiking is an accessible way to immerse yourself in the spectacular landscape of Killarney National Park. Explore Walking/Hiking at KIllarney National Park. A boat trip is a great way to experience the National Park and its lakes. Open boat trips are available from The Old Boat House near Muckross House and open/covered boat trips are also available from Ross Castle. Popular boat tours include tours of Lough Lean, trip to Inisfallen Island, Lord Brandon’s Cottage and the Dinis Peninsula.